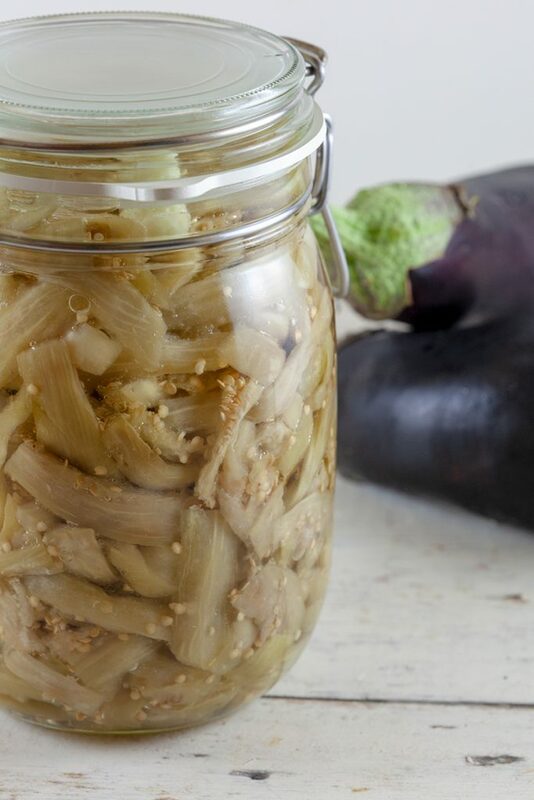 It takes some time to create melanzane sott'olio, but it's worth it. A soft spread with eggplant, oil, vinegar and garlic, mm! REMOVE the ends of the eggplants and peel them with a vegetable peeler. 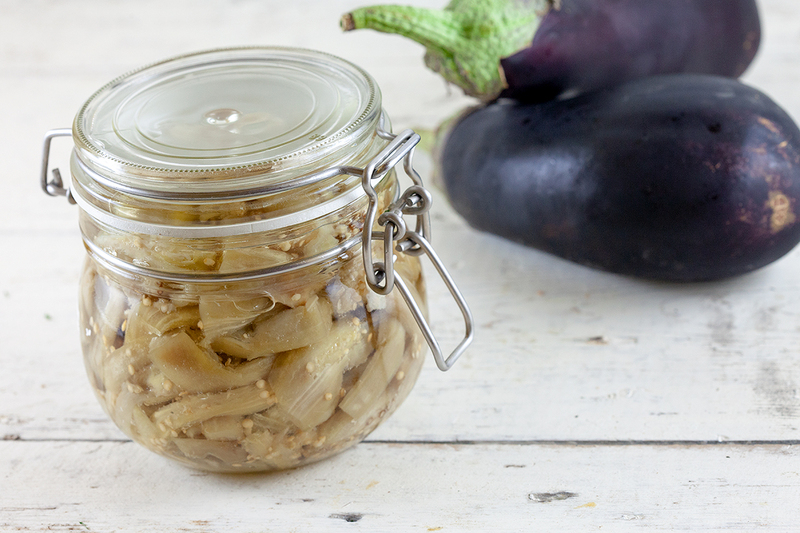 DIVIDE the eggplants, without skin, into strips that aren’t too big. Meanwhile COMBINE vinegar, water and salt in a large pan and bring to a boil. COOK the eggplant strips for about 5 minutes and then ADD them to the colander. Throw out the water and vinegar and place the colander in a large bowl. PLACE something heavy on top of the eggplants, this way the liquid will be pressed out of the eggplant strips for an even tastier result. Wait at least a few hours, but overnight is best. Make sure the weck jars are sterile, you can easily do this by cooking them in boiling water for a few minutes. PEEL the garlic cloves and divide them into halves. 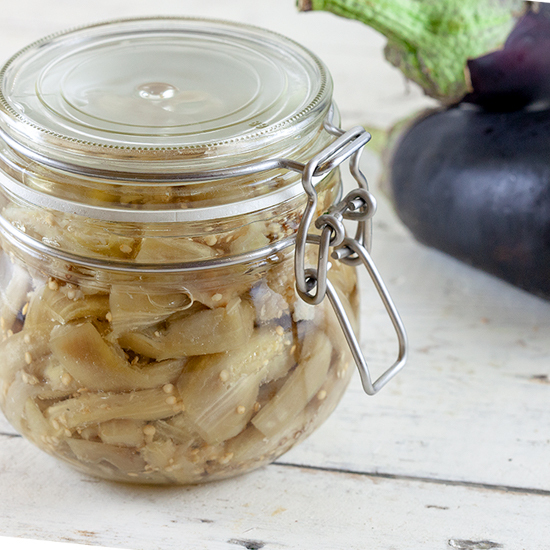 DIVIDE the drained eggplant over the jars along with some garlic. 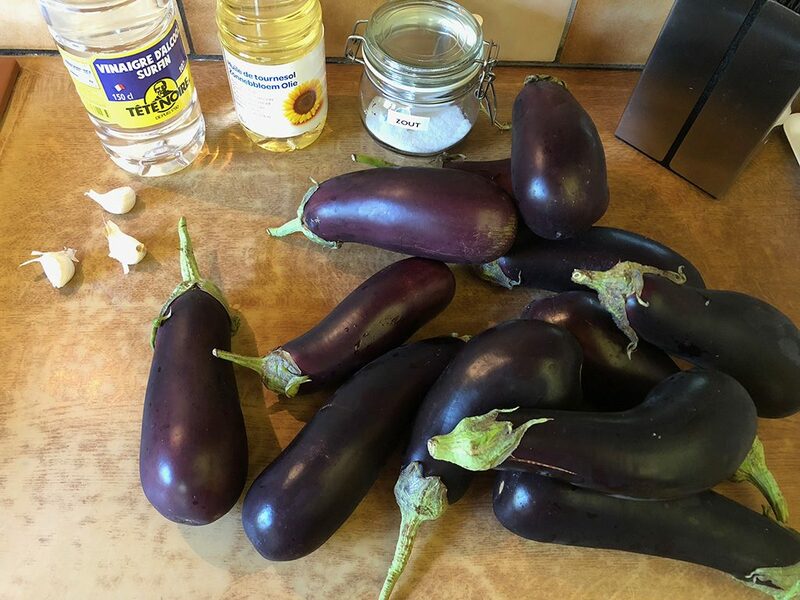 FILL each jar with oil, make sure the eggplants are completely covered. Use a knife to run around the edges of the jars to remove all the air in the jars. Put the lid on and set them on a dark spot, such as a basement, for about 2 weeks. After 2 weeks they’re ready to serve as a soft spread for bread, delicious during a party. Enjoy!